Enjoy this autographed photograph featuring NFL player Tony Nathan of the Miami Dolphins. A great collector's piece for any Miami Dolphins fan! A Certificate of Authenticity is included with this autographed photograph. 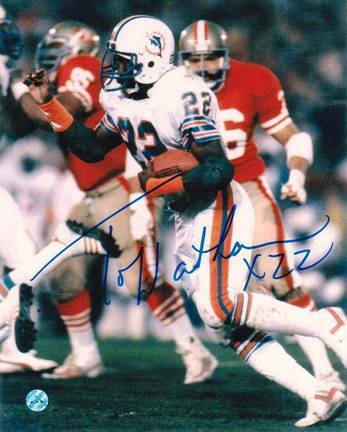 You found Tony Nathan Miami Dolphins Autographed 8" x 10" Unframed Photograph in category Football and subcategory FanShop. If you need to buy more FanShop than you are on the righ place. 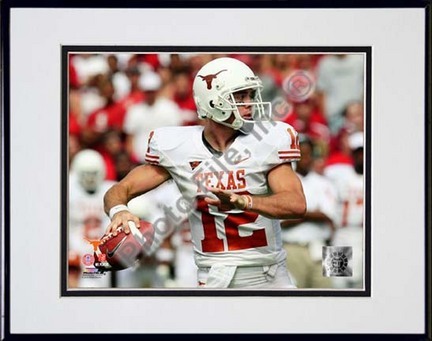 Enjoy this photograph featuring NCAA player Colt McCoy of the Texas Longhorns. A great collector’s piece for any Texas Longhorns fan!About this photo: OFFICIALLY LICENSED Photo Custom printed and cropped on high-gloss photographic paper Mounted in an acid-free mat with precision cut beveled edges Made in a custom photographic lab, not on a printing press Each game-action or portrait photograph was taken by a professional photographer Photo File is an authorized licensee for this photo Outside matte is eggshell white with a black interior matte. Note: This is an unautographed photograph. 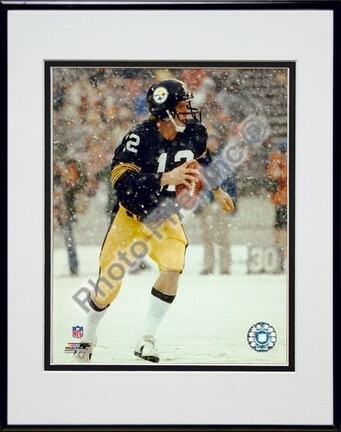 Black anodized aluminum frame Size with frame is 11"x14"
Enjoy this photograph featuring NFL player Terry Bradshaw of the Pittsburgh Steelers. A great collector’s piece for any Pittsburgh Steelers fan!About this photo: OFFICIALLY LICENSED Photo Custom printed and cropped on high-gloss photographic paper Mounted in an acid-free mat with precision cut beveled edges Made in a custom photographic lab, not on a printing press Each game-action or portrait photograph was taken by a professional photographer Photo File is an authorized licensee for this photo Outside matte is eggshell white with a black interior matte. Note: This is an unautographed photograph. 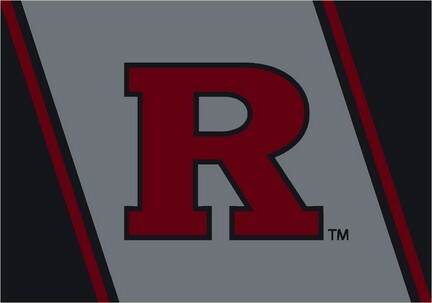 Black anodized aluminum frame Size with frame is 11"x14"
Get in the Game with this NCAA Rutgers Scarlet Knights Team Spirit area rug from Milliken and Company - the leader in textile research and design. Made of 100% nylon pile fiber. Made in the U.S.A.To view all the Milliken Area Rugs available for this team please click here. FANMATS is a leading manufacturer of tufted floor mats and rugs specializing in officially licensed mat products. Each FANMATS product is produced in their 250,000-square-foot state-of-the-art manufacturing facility in Suwanee, Georgia, using high luster nylon yarn in 16 oz. face weight carpet.The mats are chromo jet printed, allowing for unique, full penetration of the color down the entire tuft of yarn. FANMATS products feature non-skid Duragon latex backing and a sewn serged edge. 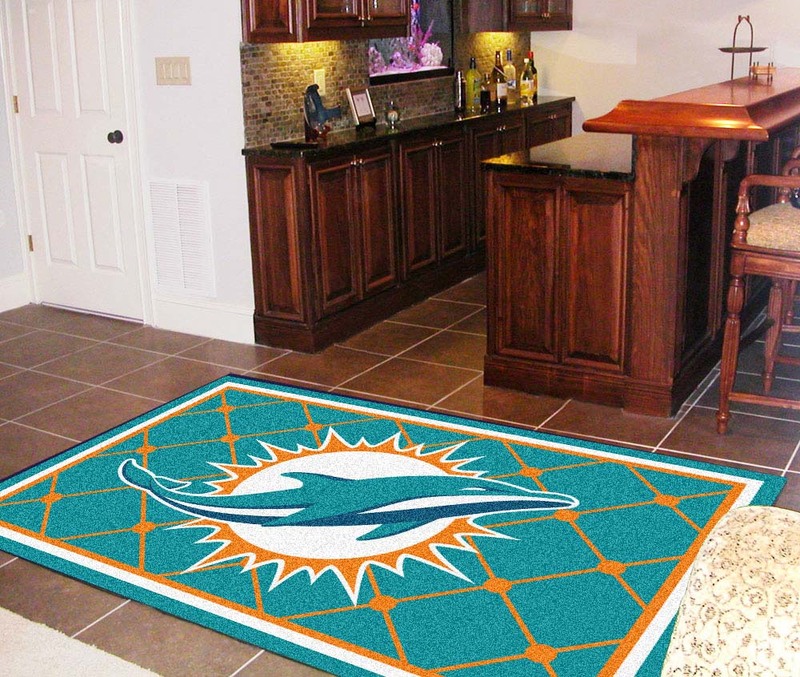 The result is a superior quality, highly attractive mat in vibrant true team colors that any NFL Miami Dolphins fan would want to own.